Woking jumps further up the Golf World Top 100! 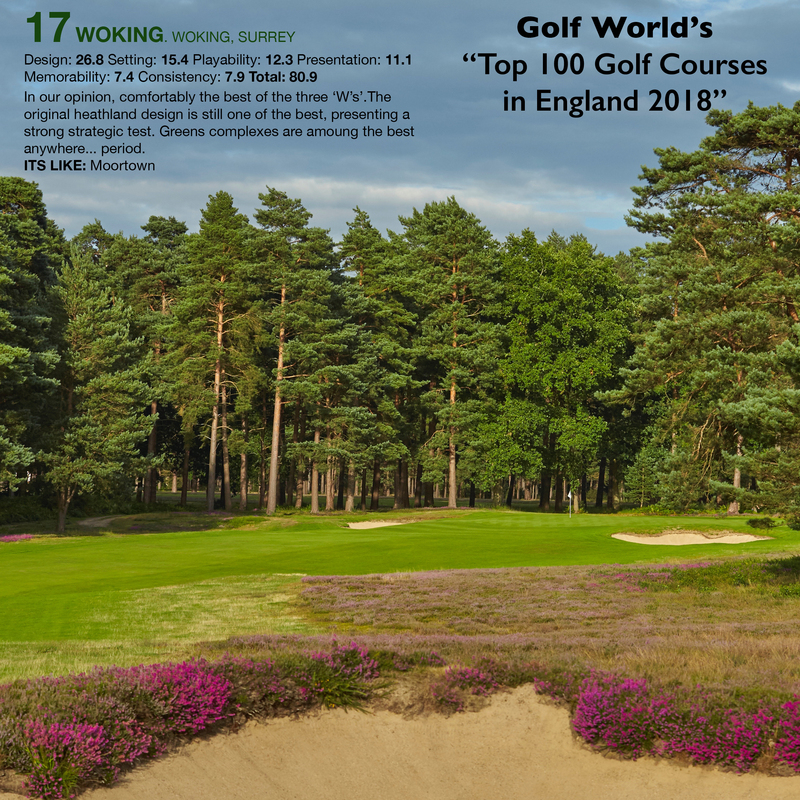 In the latest Golf World Top 100 rankings, Woking jumps a further three places, now ranked 17th in England, the latest in a string of ranking climbs for the Club. Along with the rise came some lovely comments, celebrating our architectural pedigree (ranked joint second alongside Sunningdale Old for design), and these wonderful, contoured putting greens. "The best anywhere...period" is fast becoming a catchphrase throughout the Pavilion clubhouse! Click here to see the Club brochure and check the full wording of the ranking below, beside a mouth-watering image of a common but heathery route to approach our 11th green!